Ain't it wonderful what turns up in the post? 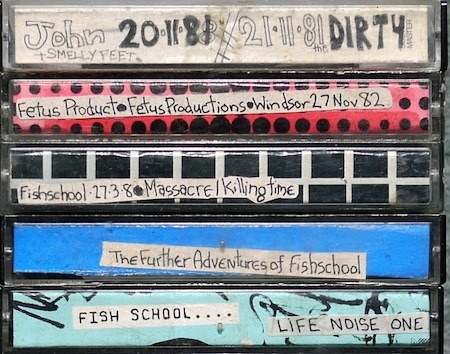 This is a stash of early 80s NZ tapes on loan via a good friend in Wellington (to the owner: they're in safe hands!) and of which I know nothing about. Some of it may be re-released 'proper'. Others might turn up here, perhaps. 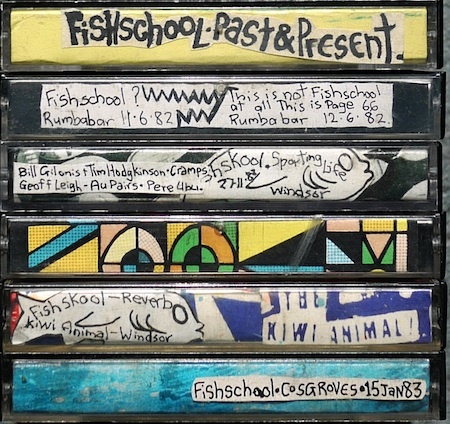 For now, a wonderful collection of hand-made cover art from Fishschool and related others. If you've got a story relating to them, drop it in the comments. Looks like a familiar handwriting by a Bob I once co-habitated with in the late '80s.